I had a great day today at the SELWG 2010 Wargames convention in Crystal Palace. 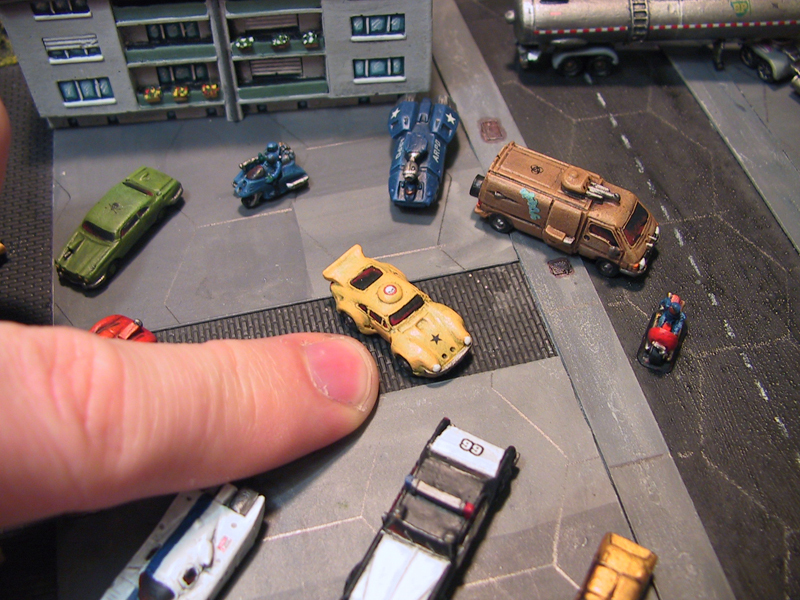 I did not get much of chance to look at much around the show because we were busy running the 15mm SCI-FI Miniatures game Grunts. It was a participation with a Kra'Vak alien forces beaching on a terrain layout defended by GZG New Israeli forces. The Kra'Vak had a primary objective of disabling a VTOL launch pad and a secondary objective of knocking out a fuel processer being operated by a contractor. The New Israeli defending force were given the task of destroying the APC carrying the Kra'Vak Commander and also annihilating a defecting NI trooper who had guided the Kra'Vak to the ideal landing location for hard currency. Thanks to GZG for supporting the game with freebie prizes to players that joined in the participation sessions. Also thanks to Duncan and Ray (Ray of the hairy tribe from Wales) for helping to pass on knowledge of the game to participating players. Here is a short video of the game. Congratulations on a landmark day of demonstration games! Looks like you put on an awesome show. I will definitely come and 'annoy' you at Warfare - looks like an excellent fun game. I do like the idea of the multi figure bases for medics and engineers. I like the camo schemes you used for the K'V. Very nice. I like the scenario idea, too. 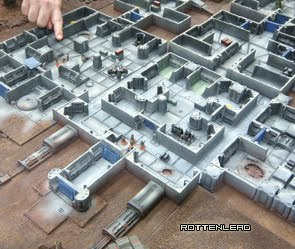 May steal that for a game here (now to get the appropriate terrain pieces ;-) ). i did want to ask where you got your explosion markers from? Damn! And here I am stuck in Australia. It's nice to see the game develop with Combat Medics and Combat Engineers. The table and figures look great! Where did you get the Battletech (?) mech from?